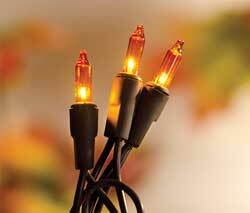 Add warm autumn lighting to your home this fall season with one of our string lights, silicone light bulbs, LED candles, and more! 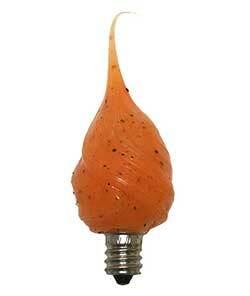 Amber on Brown Light Set - amber colored bulbs on a brown strand, perfect for harvest decorating! 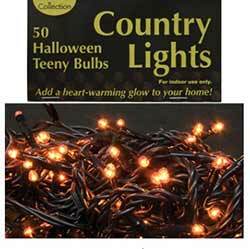 50 count bulbs. Perfect for a mantel or centerpiece, this festive candle features a smooth white wax coating and a flame shaped light bulb. Accented with the word "Blessed" and two leaf motifs. 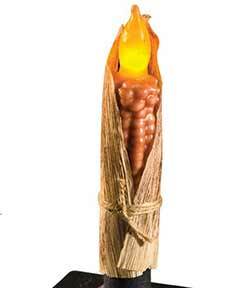 This festive battery operated taper has been made to look like a corn cob! Wrapped in a corn husk and tied with twine. Perfect for a mantel or centerpiece, this festive candle features a smooth white wax coating and a flame shaped light bulb. Accented with the word "Grateful" and two leaf motifs. 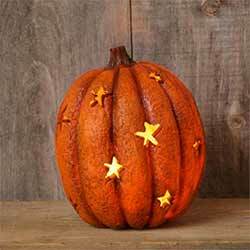 Perfect for your country primitive fall decor, this resin pumpkin figurine features star cutouts, and lights up! This is for the larger size. 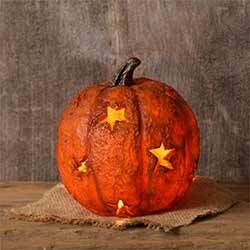 Perfect for your country primitive fall decor, this resin pumpkin figurine features star cutouts, and lights up! This is for the smaller size. 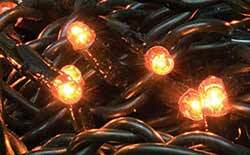 These orange string lights are perfect for your Halloween decor - Features 35 orange bulbs on a 12 foot durable wire in black color. What's Halloween without spooky twinkle lighting? These multi-function string lights are perfect for your Halloween decor! 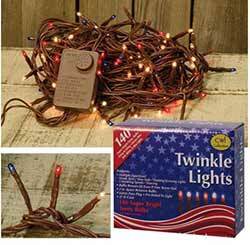 Features tiny bulbs in red, clear, and blue, spaced 2 inches apart (140 bulb in all) on a 26 foot brown durable wire cord. What's Halloween without spooky lighting? 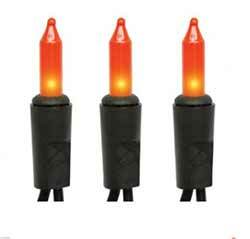 These teeny orange string lights are perfect for decorating a wreath, garland, or spooky tree! Perfect for a mantel or centerpiece, this festive candle features a smooth white wax coating and a flame shaped light bulb. Accented with the word "Thankful" and two leaf motifs.